Episode 66 of the Fourth Trimester Podcast is all about Maternal Mental Health. Leah is a licensed marriage and family therapist in private practice in the Excelsior neighborhood of San Francisco. She has been providing therapy since 2007, after working as a nanny, theater workshop facilitator, and health educator. Prior to private practice, Leah worked at two non-profits on the peninsula that provided outpatient mental health services and court-ordered groups. 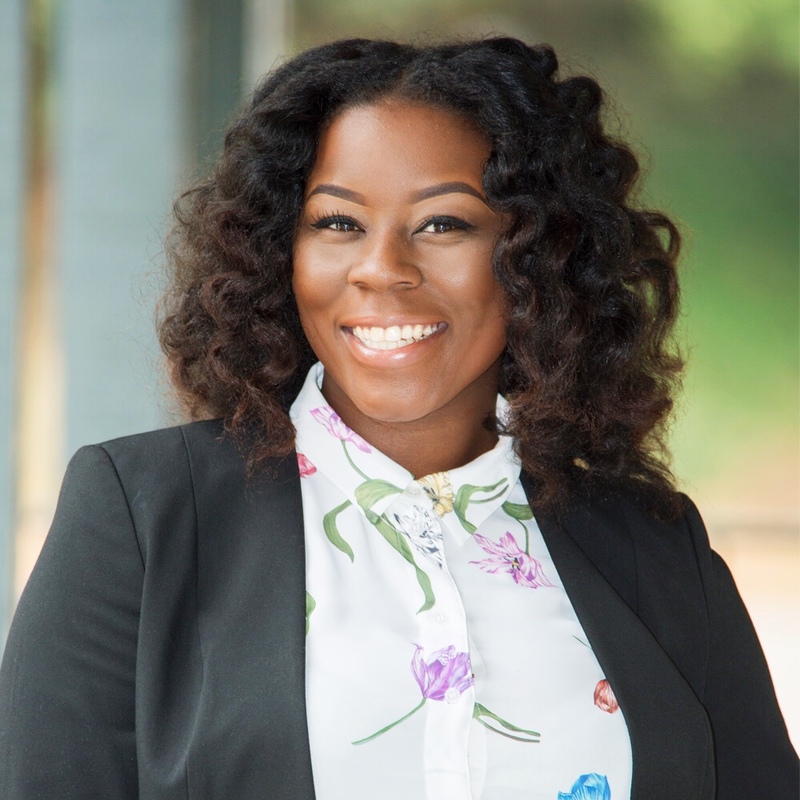 She has been in private practice at the holistic wellness center Community Well for almost three years and specializes in working with maternal mental health, domestic violence, and anxiety. Anxiety, Depression and "feeling bad about feeling bad"
Leah's website is www.leahchalofsky.com. You can reach her directly at leah.chalofsky@gmail.com. We are so happy to introduce Nethal Abdul-Mu'min to our listeners. In this episode we also give our listeners an opportunity to learn a bit about Islamic cultural diversity and how Nethal is helping Muslim families find their reflection in the Parenting Community. Nethal Abdul-Mu'min is a Birth and Postpartum Doula and Childbirth Educator who is a Homebirth mother of four. She is a scholar and translator of the Qu’uran and a translator for Arabic speakers in the women’s/family health setting and during labor and birth. She has been instrumental in the creation of the Muslim edition of the Cornerstone Childbirth Preparation Manual. Her experience as a new mom who didn’t understand her postpartum needs and later came to know about professional postpartum care was a real eye-opener. Layering this current political realities for Muslim women and their families and the forms of support she can offer them makes her a most-wonderful community member and asset. Her willingness to express and converse about all that we might be curious about and feel vulnerable in is what’s particularly lovely about her. Esther introduces Beth Rees and the topic of Perinatal Herbalism to our audience. (Perinatal = relating to the time, usually a number of weeks, immediately before and after birth.) On our show we like to hear about all sorts of supportive approaches to pregnancy, postpartum and parenting. Beth tells us about how herbs can nourish us and add enjoyment, rest and recovery to our intensive work growing our families. Beth Rees came to Doula work and herbalism by way of college and her work in the Women’s Center. The social justice and feminist orientation placed her at a pivot-point for a deep dive into Women’s transitions: physical, emotional-social and cultural. Her friend becoming pregnant paralyzed her focus on the perinatal period and alternative health approaches. Recipes include Postpartum sitz bath, Happy Postpartum & Breastfeeding Tea, Postpartum Turmeric and Ginger chicken Soup. Beth Rees is a practicing doula serving the San Francisco Bay Area. Beth has been working with women and families for over 20 years and serving as a doula since 2006. In her practice, she incorporates perinatal herbal medicine, acupressure/massage for labor and breastfeeding, mindfulness meditation, mindful hypnosis-based birthing and parenting, breath and vocalization techniques, as well as other mind and body comfort measures. Doula Beth is a Certified Doula & Certified Lactation Educator and Counselor (CLEC). Questions? Please feel free to contact Beth at beth@mindfuldoulaarts.com. Trusting another person to care for your child can be challenging. Having a plan in place for hiring and employing a childcare provider will go a long way in alleviating some of the stress. 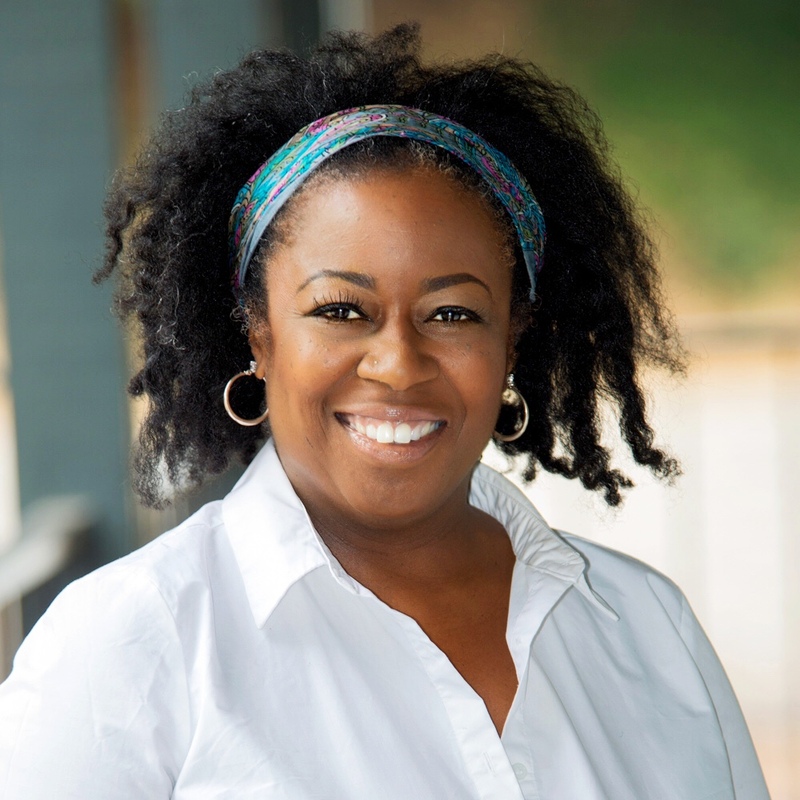 Alyce Desrosiers is a licensed clinical social worker and the founder and managing director of Chirp Connecting Families and Nannies LLC. For over 20 years, Chirp has helped San Francisco families find, hire and employ Nannies that are the right fit for their needs and lifestyle. In addition to her latest book The Nanny Manual, she is the author of two previous books, Finding a Nanny for Your Child in the San Francisco Bay Area and Nannies for Modern Moms. Alyce is also the founder of the non-profit, The Institute for Families and Nannies, with the mission to educate, inform and support the relationships between parents and Nannies to further the development of young children. TIFFAN’s mission is to establish a recognizable standard of care for the nanny industry and best practices for parents and nannies to ensure quality care. We are accomplishing this through professional development, education and training for nannies in collaboration with parents. An intended consequence of TIFFAN’s mission is to elevate the quality of care, improve nanny – parent relationships, and provide job skills and career advancement opportunities for nannies to teach, mentor and consult with families and other nannies on best practices. For more information visit, www.tiffan.org. Leading the class from Melbourne, Australia (originally from Boston), Erika Cramer is a mother of two, wife and confidence coach. She is taking a bold stand for women to reclaim their relationship with confidence. Working with hundreds of women to unpack and deconstruct their personal relationship to their self confidence, Erika embraces and highlights the process of becoming. This energetic Latina always keeps it real and raw, expressing herself openly and authentically and encouraging us to do the same. Her most recent project - The Confident Mumma - is dedicated to sharing the beautiful journey of motherhood in its absolute truth, empowering mothers to feel confident and capable through pregnancy, birth and the toughest (& most rewarding) hood of all motherhood. This video has been the catalyst for Erika's work and the You Tube page has so many other great videos you can check out and share! Erika's Spotify Queen Playlist - Erika plays these uplifting state changing songs - she adds more all the time so come and have a listen! - Erika highly recommends it to all the women (and men) she comes across in her work. It's a great book on vulnerability and the impact it has to strengthen you as a person. Sometimes simply knowing your options is what makes all the difference. Education is key for pregnant mothers as they prepare for their birth and early motherhood. Birth Education is important for women because the "childbearing year" of pregnancy, labor, birth and the fourth trimester, is the moment where fundamental respect, care and nurturing can be experienced and where culture-change can begin in each life with the benefits paying forward to individuals and society. In this episode we have the honor and delight of speaking with a mother-daughter duo whose work together spans this cultural intervention of doula work in the context of social justice. We weave together these elements along with the practical benefits of doula care. We explore the generational and traditional threads of women caring for families. "Serving a new mama and family during postpartum is as deep in my culture and family as life itself. Both of my paternal grand-parents where from the great state of Texas. Specifically my dad was born in raised in Nacogdoches, TX with a population of just over 32,000. For many, many years my great aunt was the midwife of the town responsible for the birth of babies from families on both sides of town. As a result local community members and my family provided postpartum care throughout the entire town, back then it was expected and simply what you did for your neighbor. 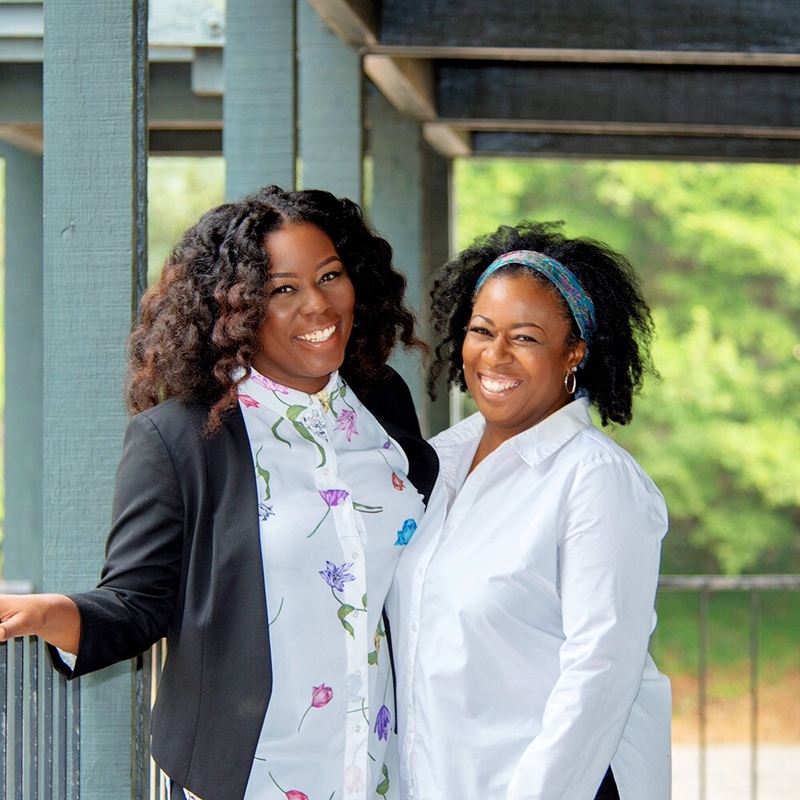 To help provide a loving and nurturing experience just after birth which is very important for mama, papa, partner and baby to promote a quick physical recovery and healthy emotional presence"
Deundra Hundon and Stephanie Dixon are the founders of Bare With Me: A Mother-Daughter Doula Duo. Both San Francisco natives, and Bayview Hunter’s Point residents, this duo strives to reclaim the role of black birth workers in America while advocating for maternal equality for all. Deundra and Stephanie are trained through Cornerstone Doula Trainings in Labor and Birth, Postpartum, and Childbirth Education. One of Stephanie and Deundra’s current philanthropic commitments include being recruited to sit on the board of Friends of San Francisco Birth Center. Some of their responsibilities include working with midwives, doulas, and other board members to foster communication between low-income women and women of color with Midwives of the San Francisco Birth Center. Their business is based in San Francisco and serves a wide range of clients across the Bay Area. Bare With Me: A Mother-Daughter Doula Duo uses mature and modern techniques as a means to accomplish their mission of improving the overall experience for the birthing person (or birthing mom) regardless of ethnicity, socio-economic status, prior knowledge of birthing options or prior birthing experience. I’m currently supporting mamas and papas as a birth doula and completed my training with Cornerstone Doula Training. In addition to my training, I’m a mother and grandmother; two experiences that have provided me with personal experience with childbirth and infant and toddler care. My passion and interest for doing birth work and becoming a doula began when I was just a student in high school preparing for college. Since then, I’ve worked in childcare and education as a teacher, program director, family support coordinator and college advisor. My experience working with children and their families for over 25 years has prepared me for understanding families’ special needs and bringing calm and focus to the entire family in some of the most challenging times. Every woman deserves the opportunity to fully heal and recover from birth trauma. It is never too late to address a past trauma. Gena McCarthy RN, MFT is an EMDR certified perinatal psychotherapist specializing in the spiritual and psychological care needs of parents and professionals, including trauma informed care and healing practices. You can contact Gena directly at genamccarthy3@gmail.com. Amelia Kriss, CPCC, RDT is an ICF-Certified Life Coach & Creative Arts Therapist in San Francisco, California, where she lives with her partner and their very opinionated almost 3-year-old. In her coaching practice, Amelia Kriss Collaborative, she specializes in supporting makers, healers, mamas, and other badasses. She is also a Registered Drama Therapist and a Director for Self-Revelatory Performances & therapeutic theatre. Amelia LOVES working with new mamas, especially around processing the birth experience, integrating this new parent role, and reclaiming their whole identities. She offers in-person sessions locally, and meets virtually with folks outside the Bay Area. "I coach with a focus on self acceptance & the belief that fulfillment is worth fighting for, and I’m committed to nurturing the societal shift from a concept of motherhood defined by self sacrifice, to one anchored in self compassion. Beyond Postpartum Support, my areas of focus include: Good Girl Metamorphosis, Creativity Coaching, working with fellow Healers & Helpers, and Therapeutic Theatre. At the moment, my most favorite forms of self-care are toddler snuggles, intersectionalizing my feminism, and curse words. If you have a hunch that working together might be the right next move: click here to book your phone consultation and let’s talk!" Most women in the USA do not have a community coming to support them and their new family during the first 90 days after having a baby. Listen to this episode to learn about the advantages of building up a community of friends, family, trusted neighbors, and professional supporters (e.g. a postpartum doula or night doula). Take care of yourself first so you can take care of your newborn. "I am a mother of two beautiful daughters of ages 10 and 11 years old. I have been providing care for infants and children with their families for over 20 years. As a Postpartum Doula, I have worked with couple of hundreds of families offering newborn care and breastfeeding counseling. Becoming a mother radically realigned every aspect of my life and introduced me to “my call”. I believe it takes a village to raise a child and every family deserve an emotional, physical and psychological support following the birth of their baby. I moved to the San Francisco Bay Area over 20 years ago, originally from Tanzania East Africa. I founded DOULAS by the BAY LLC in year 2014, an agency that helps to connect Doulas,Newborn Care Specialists and Nannies with families in the community that is looking for birth and postpartum support.My practice is recognized as one of the San Francisco Bay Area’s leading Doula resources. Helping families transition successfully with their lives after the birth of their newborn is my passion.To ensure you get the best care, I’ve honed my skills with certifications and training from prestigious national institutes. I also believe in staying abreast of current practices, which is why I’ve chosen to continue my education by taking courses in early childhood education and psychology at San Francisco State University. When I’m not working with families, I enjoy hiking, running, dancing, cooking, reading, writing, snowboarding, skydiving, swimming and golfing." "I am from Tanzania. I am married and have been living in the Bay Area for 16 years. There are eight children in my family. When my youngest sister was born in 1993 (I was 12 years old) I got my first introduction to raising a newborn child. I helped my mother to take care of her. I used to help with feeding, bathing and babysitting her. After moving to the United States in October of 2001, I worked as a nanny for several families in order to support myself while I attended college. I attended Laney College from 2002-Spring 2005. From there I transferred to San Francisco State University where I majored in Health Education with a concentration in Community-Based Public Health, as I’ve always been interested in healthcare. I also really enjoy working with babies, so after hearing about postpartum doulas in 2010 I decided to do some research and ask people about the doula career. It fascinated me because I had experience already through taking care of infants and toddlers. In July 2012, I decided to transition to working as a postpartum doula. I contacted Nicki Tilsner, who is one of the founders of Cornerstone Doula Trainings and took the comprehensive postpartum doula course. Upon completion of the course I volunteered for one family with newborn twins in Daly City. After about 2 weeks the couple decided to hire me. That is how my journey as a postpartum doula began and I am still enjoying it up until now." DOULAS by the BAY LLC, known as DBB was formerly founded in the year 2014 by Shakila Marando.It is a team of professionally trained and certified Doulas, Nannies and Newborn Care Specialists who are dedicated to supporting new and expecting families before, during and after childbirth. Our careful attention to detail, depth of experience and commitment to families, has made DOULAS by the BAY the leading and most trusted doula practice in the San Francisco Bay Area. Despite the immeasurable rewards that come with being a parent, transitioning into this new role can be difficult. We firmly believe that every family deserves to have a warm, experienced professional to help ease the transition into parenthood. At DOULAS by the BAY, we understand that each family has unique needs. Our doulas are committed to offering non-judgmental support to every family. Our network of doulas offers a wealth of useful information and consultation to new families in areas such as Basic newborn care, infant feeding and Newborn sleep issues. Each of our Doulas, Nannies and Newborn Care Specialists received a comprehensive training, a CPR certification and undergoes a thorough screening process and listed on a Trustline registry.You can rest assured that each of our professional working with your family is a competent, reliable and caring individual who is passionate about supporting your family’s needs.